Posted on 03 September 2018. GEORGETOWN, Guyana, Sept 1, CMC – The Guyana government says it is putting in place measures to ensure that country builds a world class petroleum sector. 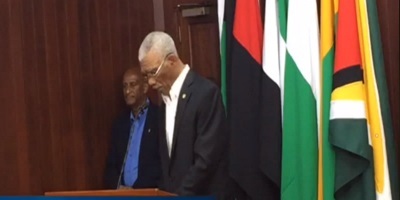 President David Granger told a news conference on Friday that while his administration is cognisant of the continuous oil discoveries offshore, the recently established Department of Energy has a wide range of issues to address as it relates to the regulation of the petroleum sector. 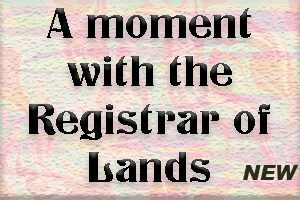 “We are conscious of the international environment, we are conscious of our commitment, we are conscious of the continuous discoveries of large amounts of petroleum offshore Guyana and we intend to establish a world-class petroleum sector that is well regulated,” President Granger said. He noted that it would take some time for international experts to be recruited since the expertise is lacking locally and that the Department of Energy is an interim measure since it does not have the capacity to “bear the burden” of a world-class petroleum industry. Granger said that the decision to establish the Department of Energy was as a result of the Minister of Natural Resources, Raphael Trotman’s request for the responsibility of petroleum to be removed from that ministry. Granger said that the government is still in the early stages of setting up the department but in due course, there will be a Ministry of Energy or Petroleum. He said the department was deliberately placed under the purview of the Ministry of the Presidency to ensure it is subjected to the highest level of scrutiny. “We will have the opportunity to query any decisions made and to ensure that the interest of the Guyanese people is protected,” Granger said, noting that as it relates to the agreements with the US-based oil giant, ExxonMobil, they will be subject to review by the Department of Energy, as well as all other aspects related to the emerging sector. However, he told reporters that once international contracts have been signed there is no room for renegotiation. “We will move forward and ensure we get the best advice before we engage in any other negotiations,” Granger said, indicating that given the circumstances at the time, he believes the government negotiated with ExxonMobil for what was possible at the time, under the Product Sharing Agreement. Beto O'Rourke campaigns in Williamsburg, VA: "It's not just that [President Trump is] partisan, it's not just that he is divisive. He's hateful, he is racist, he is encouraging the worst tendencies amongst our fellow Americans."